Here, you can enjoy a great lifestyle and flexibility with two homes located on a generous 2100sqm. 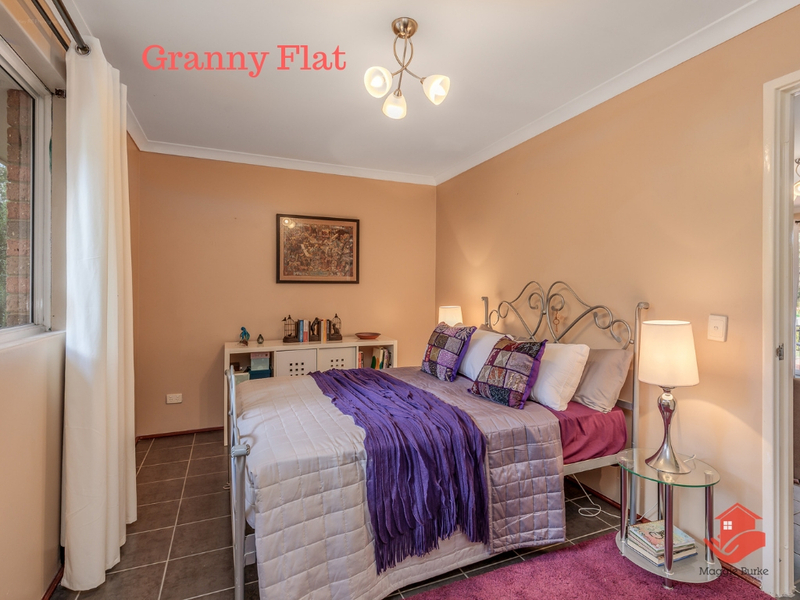 The photos of the flat tell it all – there's a modern kitchen, bathroom, laundry with side access, separate large bedroom with walk-in robe and spacious living area. 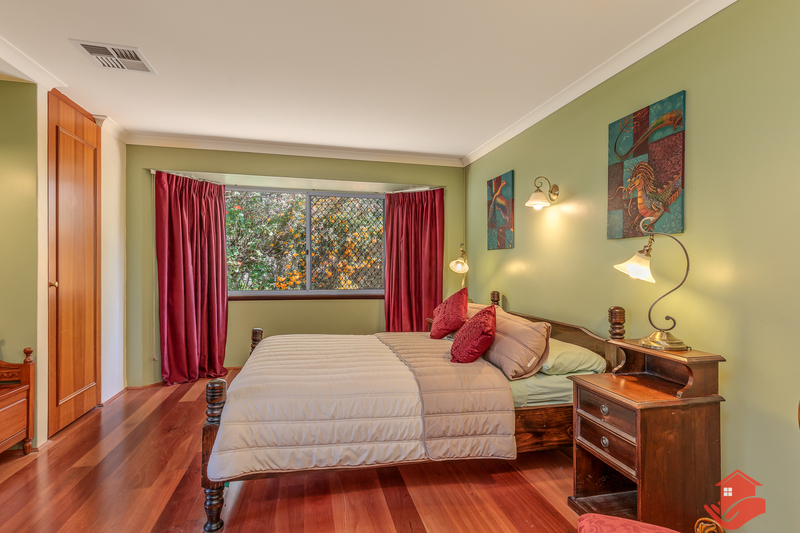 The spacious main dwelling has a welcoming, warm ambience along with rich colour tones and warm timber features. 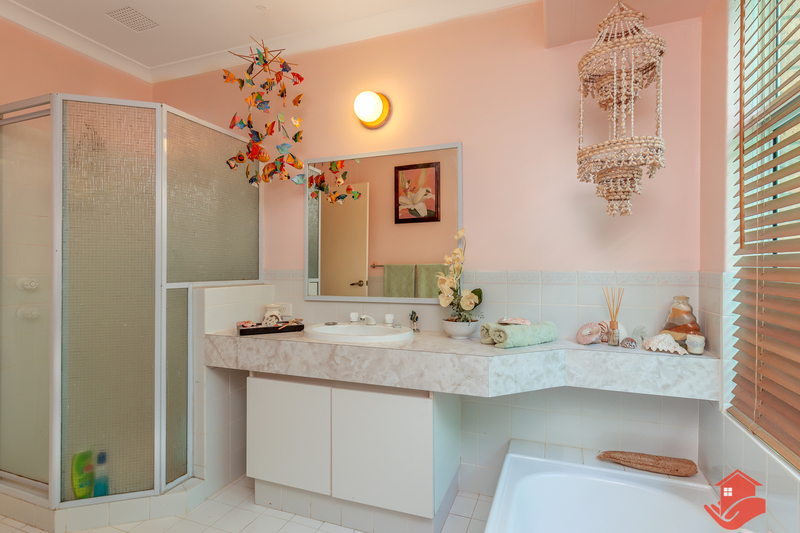 Parents will enjoy the privacy of a large main bedroom with modern ensuite and big walk-in robe. And there's plenty of room for the kids or visitors, with minor bedrooms being double sized and all with BIRs. 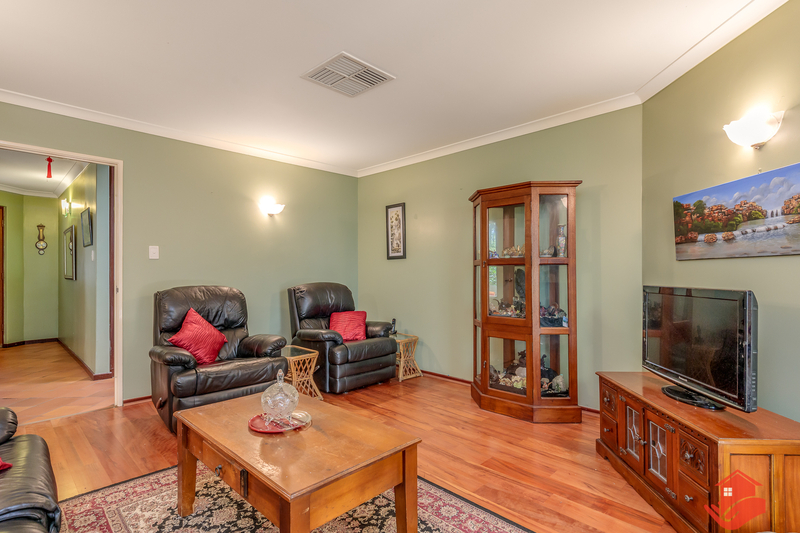 What was formerly the loungeroom has been transformed into a lush coloured reading room with built-in, quality floor-to-ceiling jarrah bookcases. The result is a superb space for those who enjoy taking time to read and reflect. A games room works well as a sitting room offering pretty views and access to the rear garden. The modern kitchen overlooks a dining/family area and also leads out to attractive gardens beyond the outdoor entertainment area. 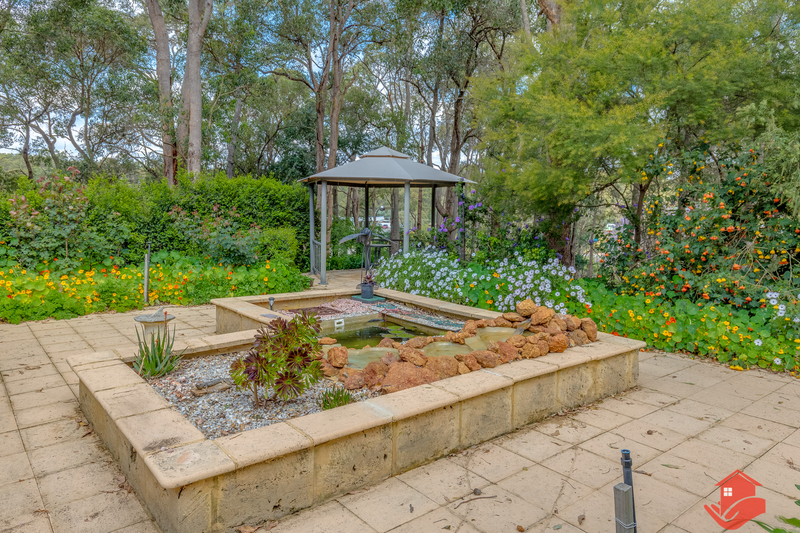 Nature escape, retreat, hideaway or simply a prudent investment - call it what you will. This home, quietly nestled into the contour of the valley, is an exciting proposition! 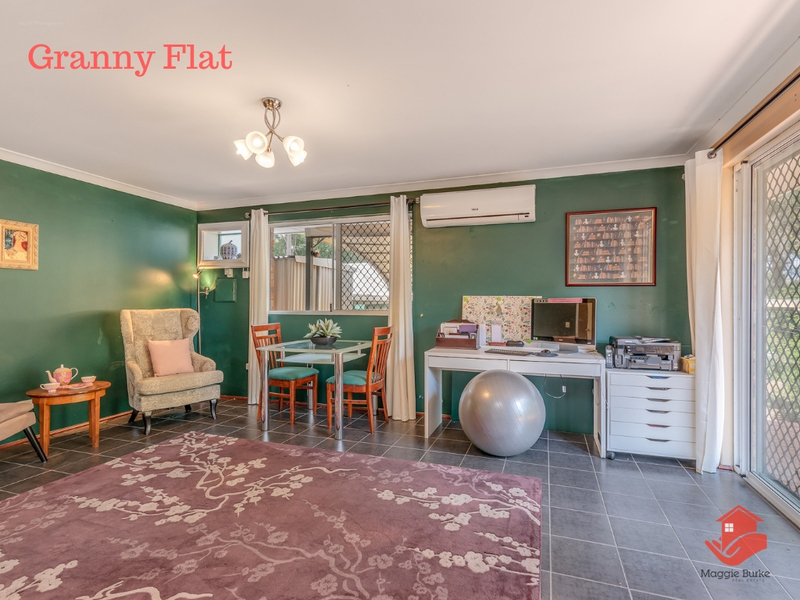 4x2 House & Flat - So Many Reasons to Buy! So Many Reasons to Buy! Plenty of Reasons to Buy! 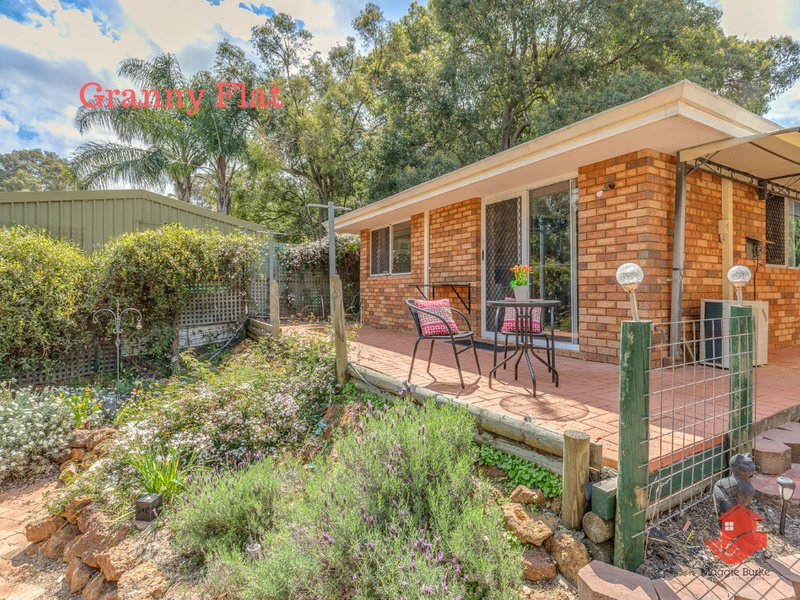 Such a lot on offer on this versatile property! Here, you can enjoy a great lifestyle and flexibility with two homes located on a generous 2100sqm. 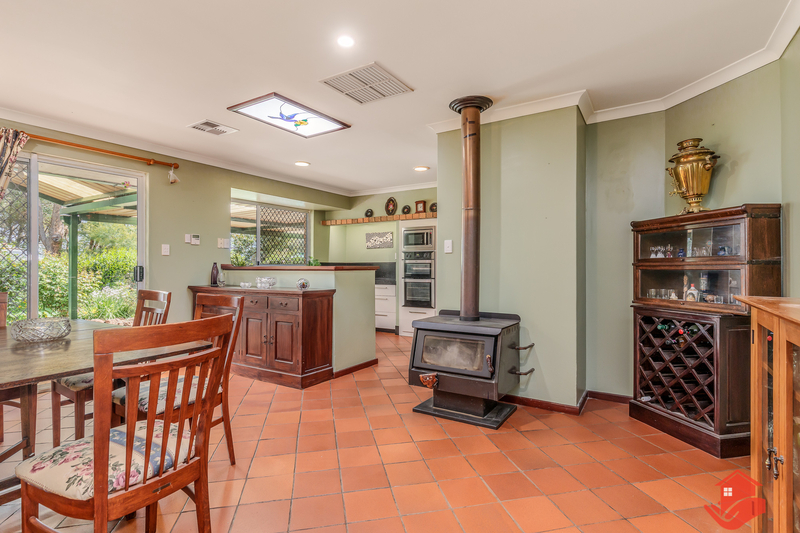 The spacious main dwelling has a welcoming, warm ambience along with rich colour tones and warm timber features. 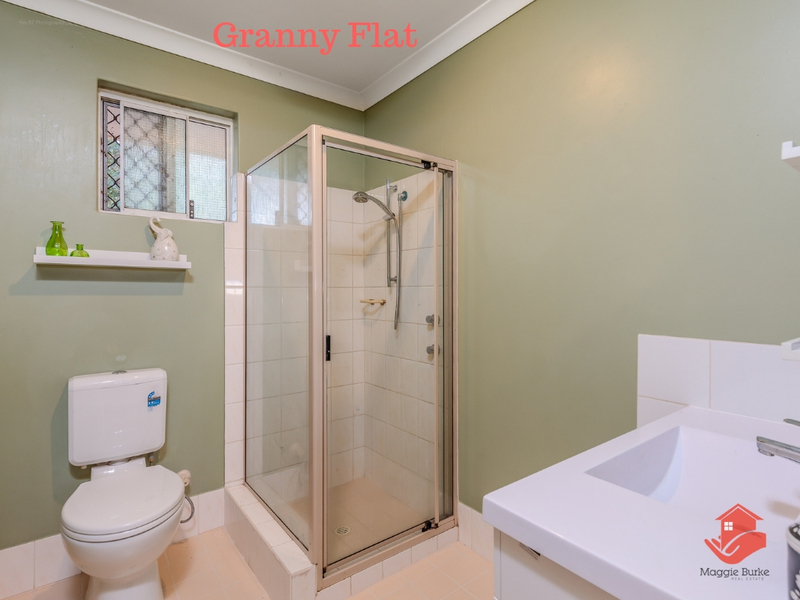 Parents will enjoy the privacy of a large main bedroom with modern ensuite and big walk-in robe. 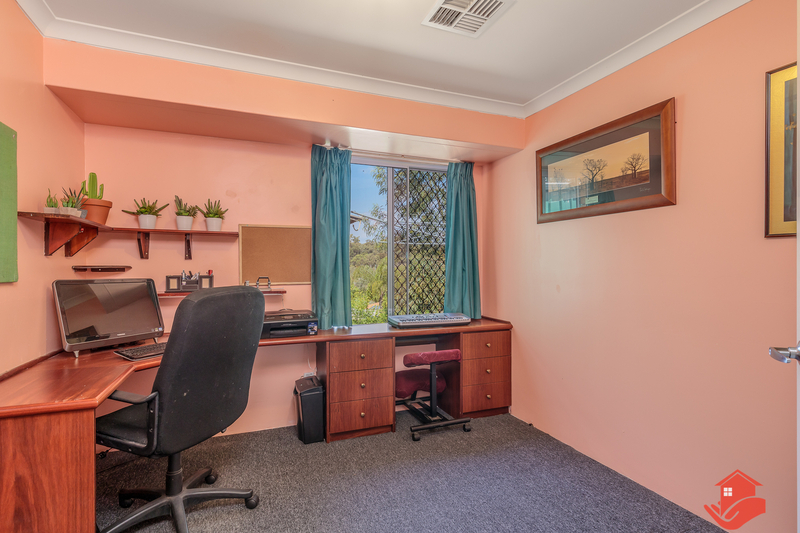 And there's plenty of room for the kids or visitors, with minor bedrooms being double sized and all with BIRs. 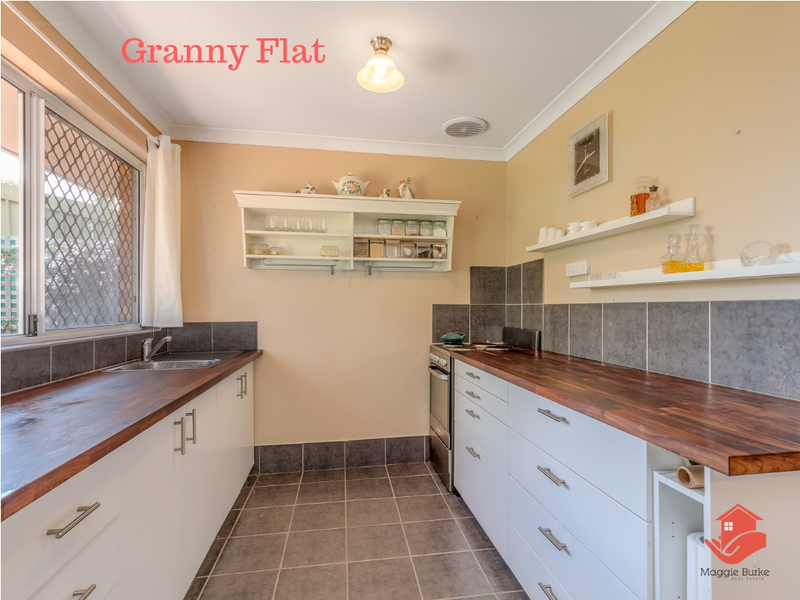 The photos of the flat tell it all – there's a modern kitchen, bathroom, laundry with side access, separate large bedroom with walk-in robe and spacious living area. 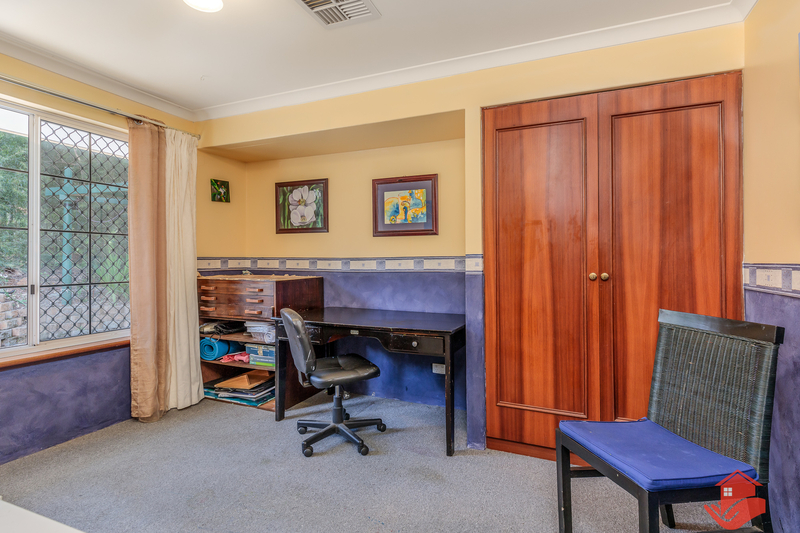 Back to the main dwelling, what was formerly the loungeroom has been transformed into a lush coloured reading room with built-in, quality floor-to-ceiling jarrah bookcases. The result is a superb space for those who enjoy taking time to read and reflect. A games room works well as a sitting room offering pretty views and access to the rear garden. The modern kitchen overlooks a dining/family area and also leads out to attractive gardens beyond the outdoor entertainment area. 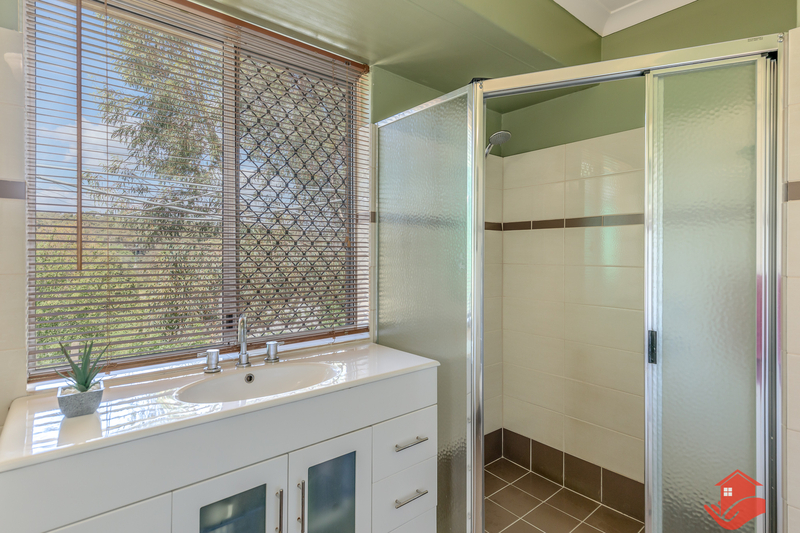 Nature escape, retreat, hideaway or simply a prudent investment - call it what you will. 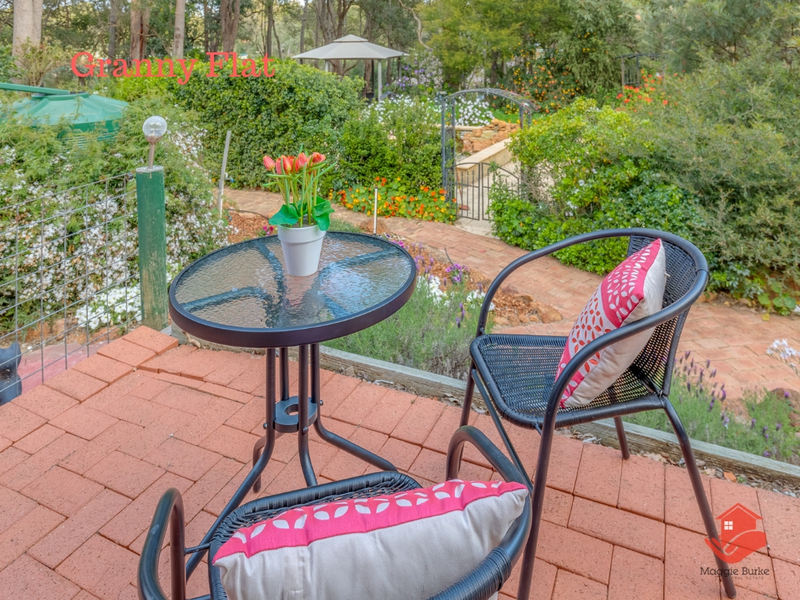 This home, quietly nestled into the contour of the valley, is an exciting, versatile home. 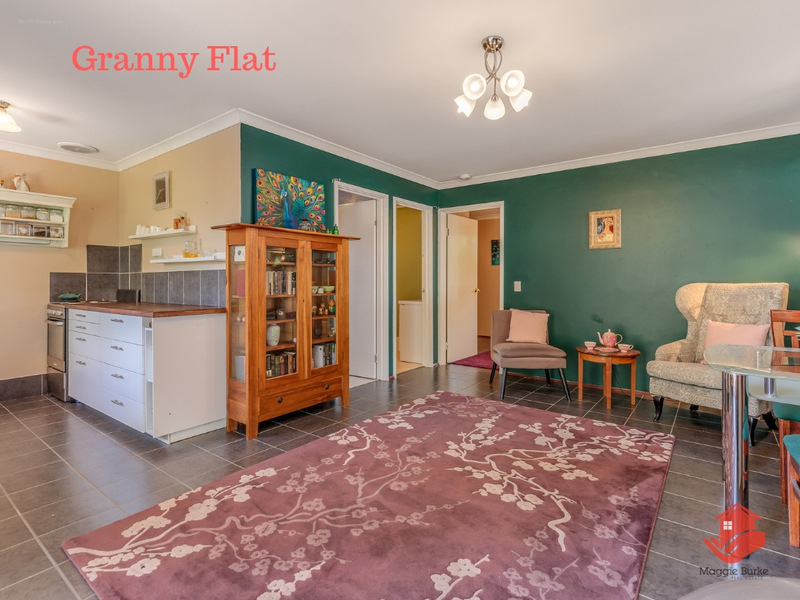 Property Under Offer - Open Home Cancelled. Sorry for inconvenience. 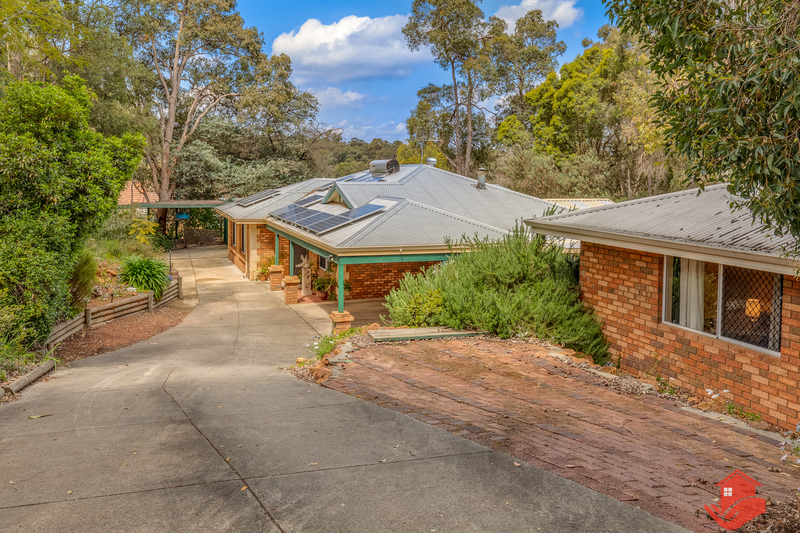 There are few properties with so much on offer currently available in Roleystone. Here, you will enjoy lifestyle and flexibility with two homes located on a generous 2100sqm. Exciting Lifestyle Opportunity for Families! 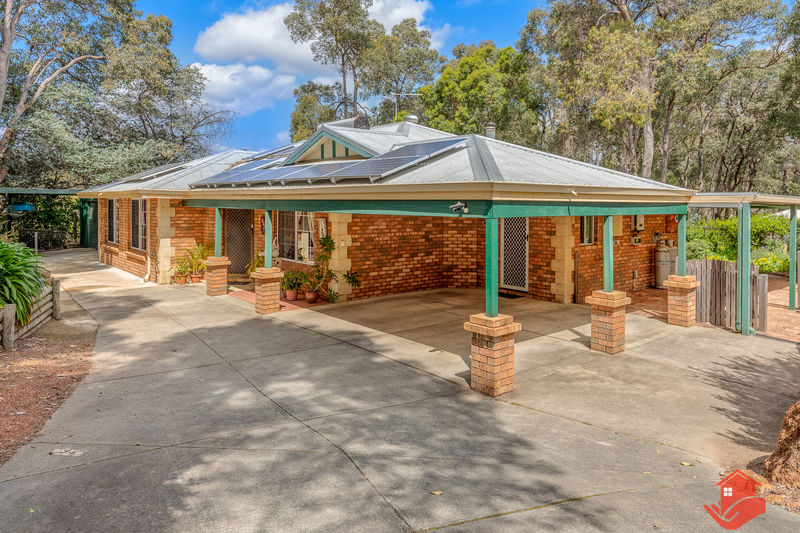 There are few properties, with so much on offer, currently available in Roleystone. Here, you will enjoy lifestyle and flexibility with two homes located on a generous 2100sqm. 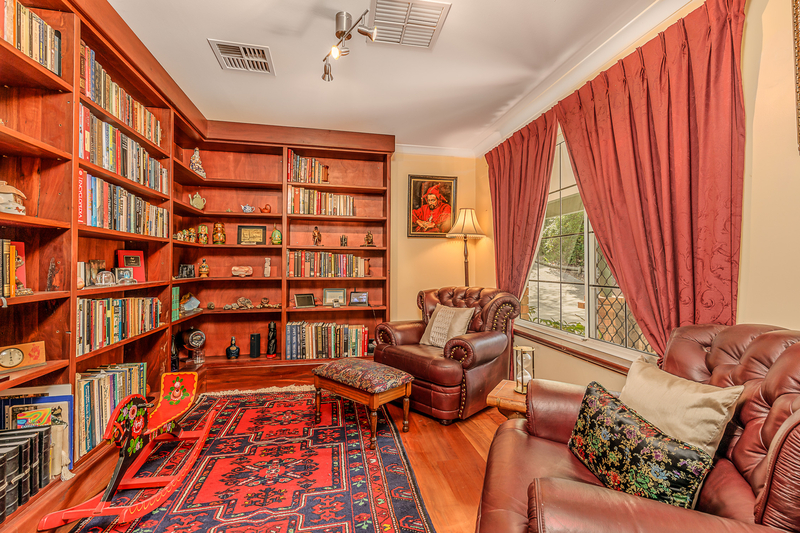 Back at the main dwelling, what was formerly the loungeroom has been transformed into a lush coloured reading room with built-in, quality floor-to-ceiling jarrah bookcases. The result is a superb space for those who enjoy taking time to read and reflect. A games room works well as a sitting room offering pretty views and access to the rear garden. The modern kitchen overlooks a dining/family area and also leads out to attractive gardens beyond the outdoor entertainment area. 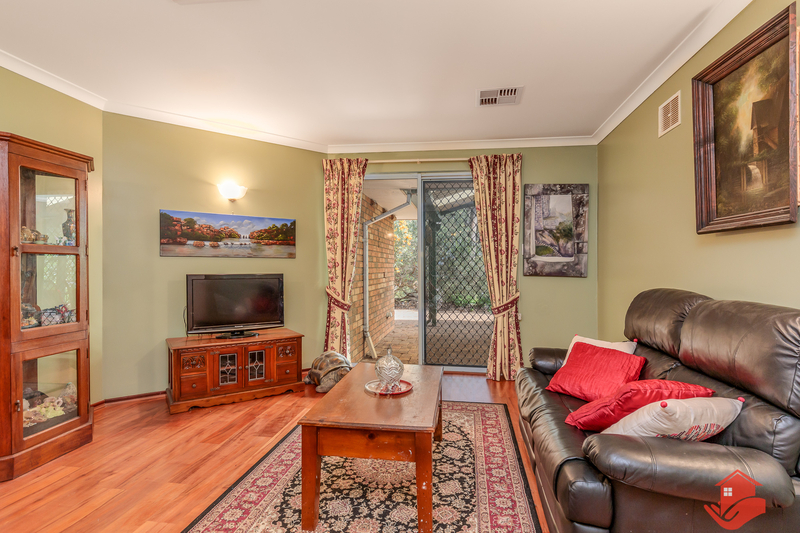 The spacious main dwelling has a welcoming, warm ambience along with rich colour tones and warm timber features. Parents will enjoy the privacy of a large main bedroom with modern ensuite and big walk-in robe. And there's plenty of room for the kids and visitors, with all minor bedrooms being double sized, all with BIRs. 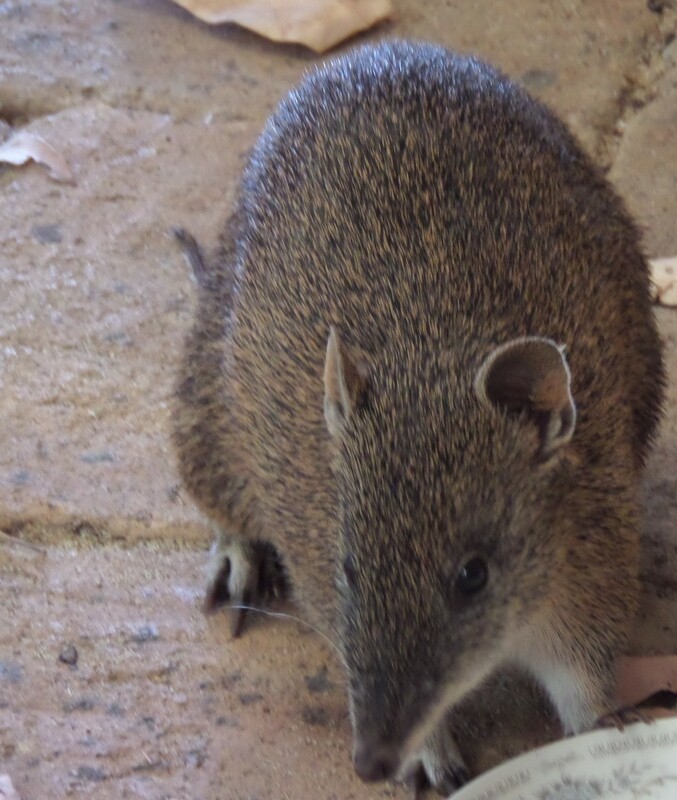 So you tell us.. wouldn't anyone do well having a convenient extra dwelling on their property? There are few properties, with so much on offer, currently available in Roleystone. 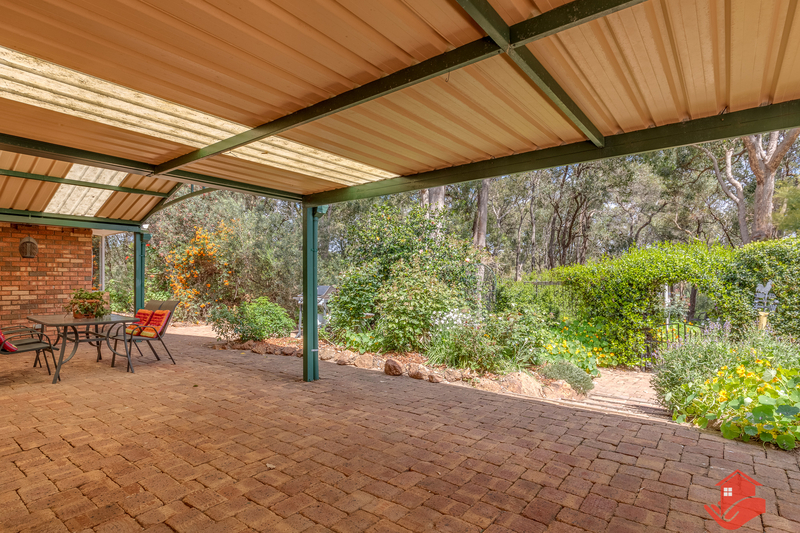 Here, you will enjoy lifestyle and flexibility with two homes located on a 2100sqm Roleystone block! 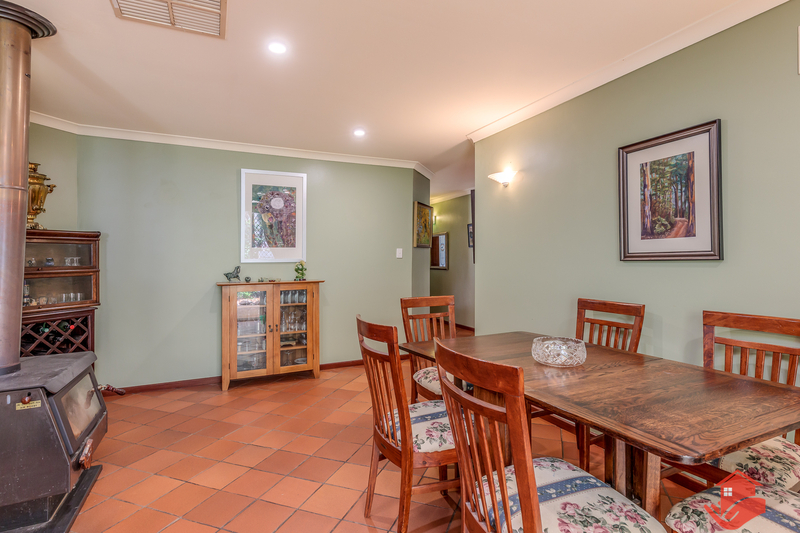 The spacious main dwelling has a welcoming, warm ambience along with rich colour tones and warm timber features. Parents will enjoy the privacy of a large main bedroom with modern ensuite and big walk-in robe. 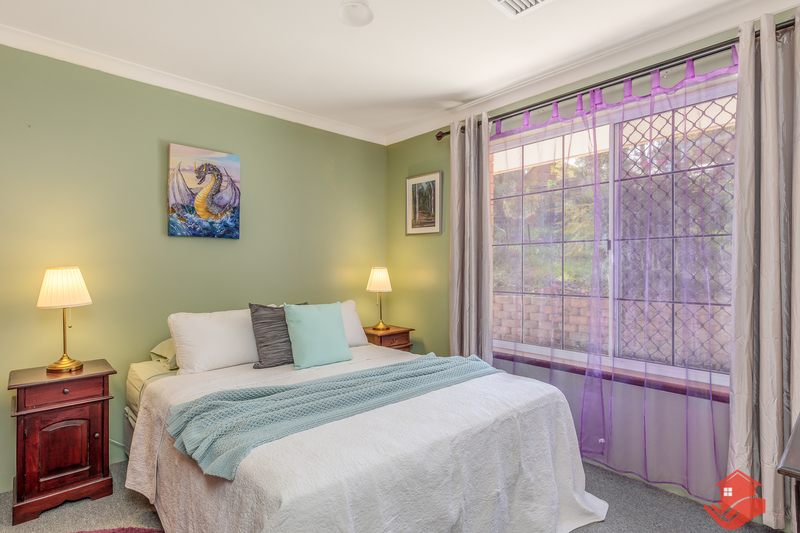 And there's plenty of room for the kids and visitors, with all minor bedrooms being double sized, all with BIRs. 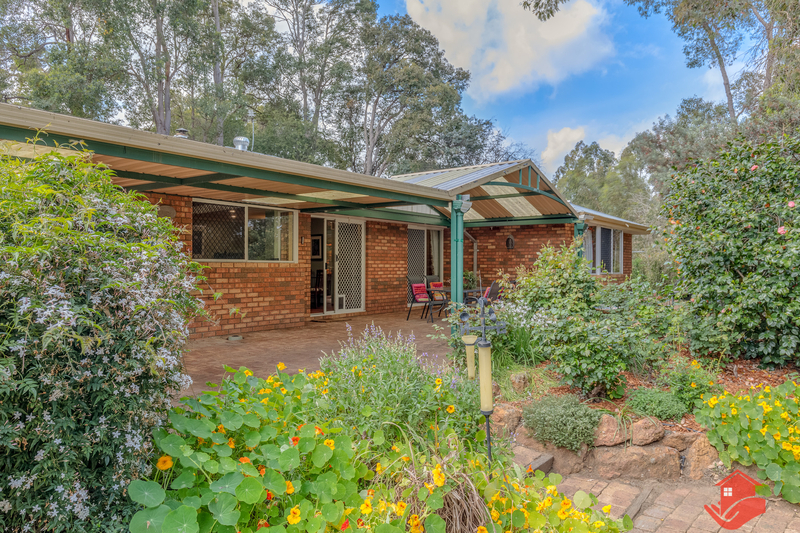 Nature escape, retreat or hideaway, call it what you will, this home, quietly nestled into the contour of the valley is an exciting, versatile home! 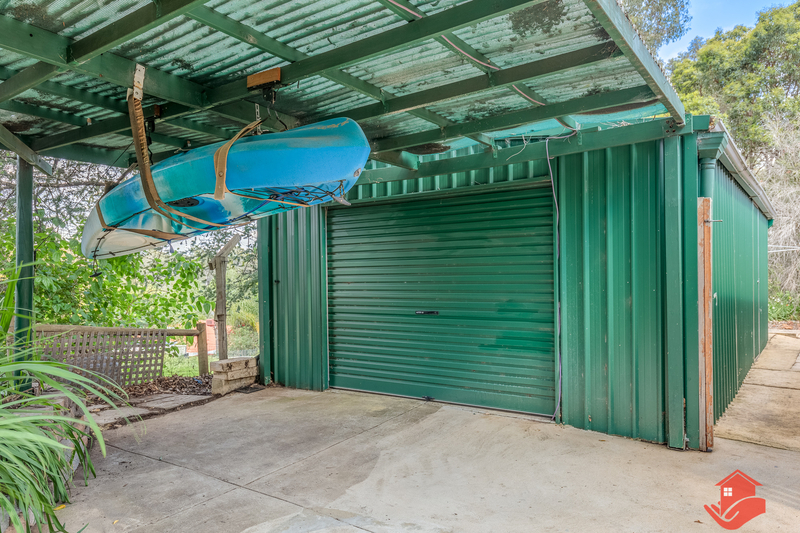 We think everyone would do well to have an extra dwelling on their property. There is a wonderful homely feel to this spacious residence with rich colour tones and warm timber features. The main bedroom is large and with modern ensuite and big walk-in robe it is an appealing space. All minor bedrooms are double size and have built-in robes. The lounge, which has been converted into a reading room, is superb! Here, quality floor-to-ceiling jarrah bookshelves run along 2 walls creating a warm and inviting place for those who love to read and reflect. A games room works wonderfully as a sitting room with its large sliding glass door offering a pretty view to the rear garden. 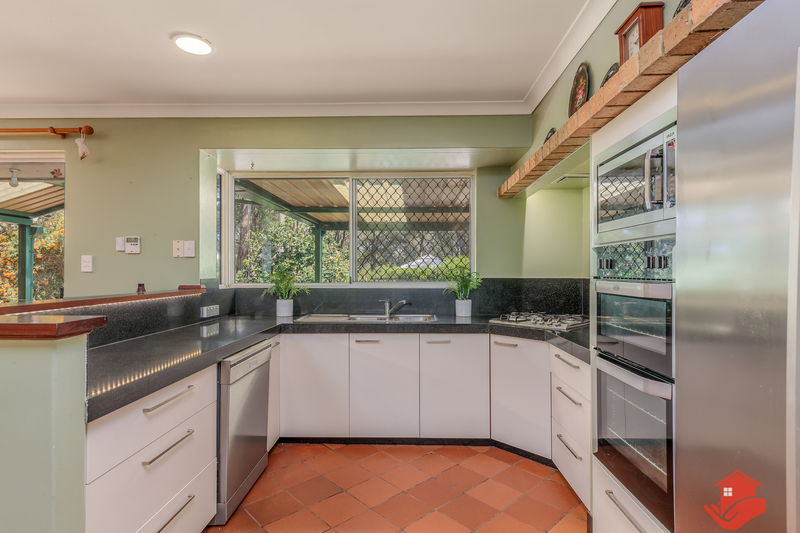 The modern kitchen overlooks a dining/family area and it too, has a glass sliding door opening onto the attractive garden beyond the outdoor entertainment area. Through a gate is a 'Secret Garden' where children and adults love to roam. 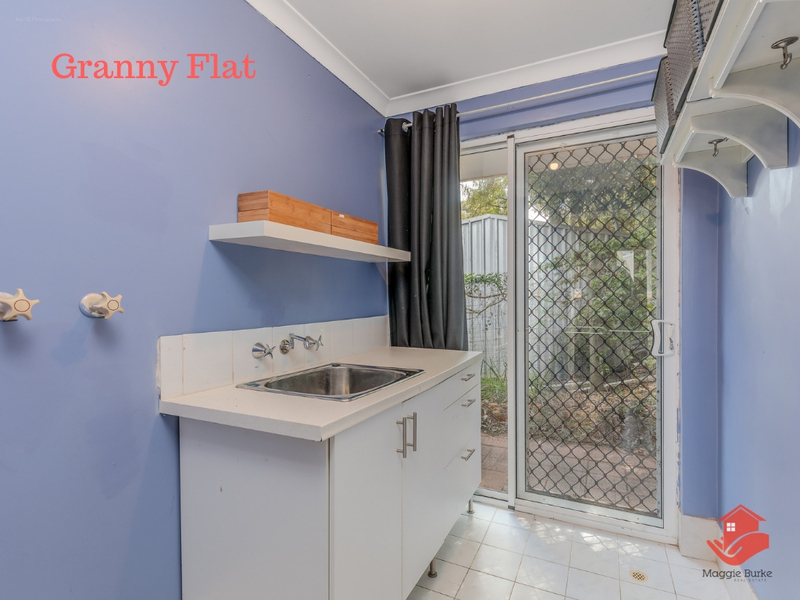 The photos of the flat tell it all: a modern kitchen, bathroom, laundry with side access, separate large bedroom with walk-in robe and spacious living area. If this home speaks to you, act now, because once it is gone... it is gone.